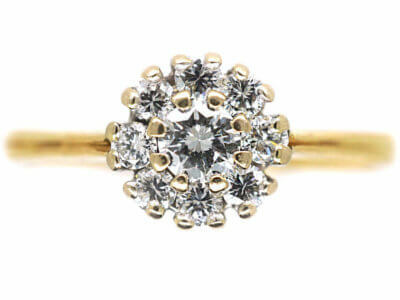 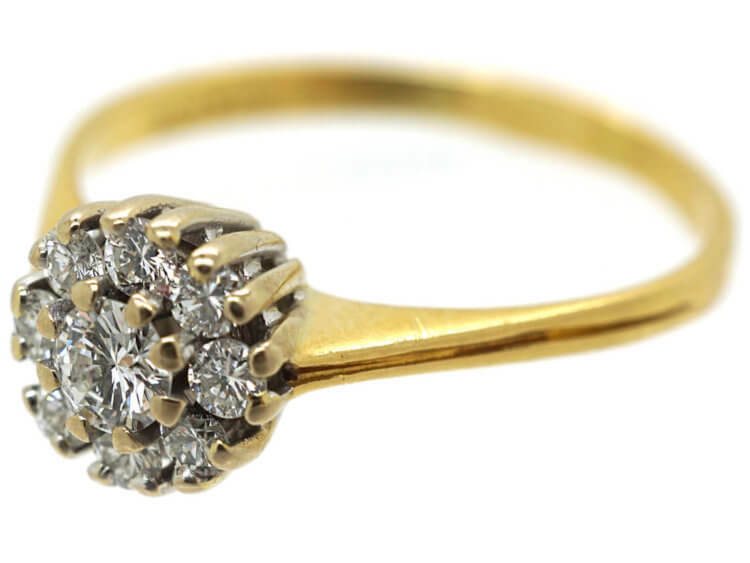 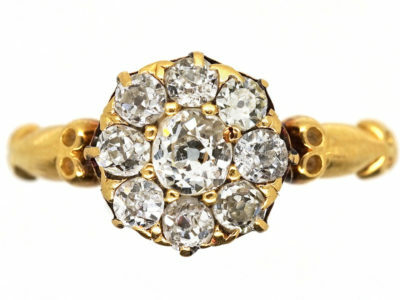 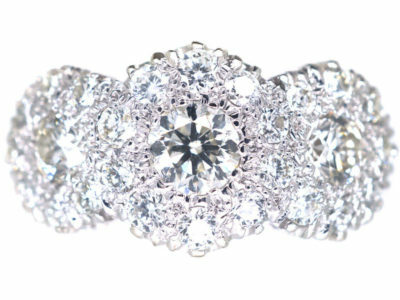 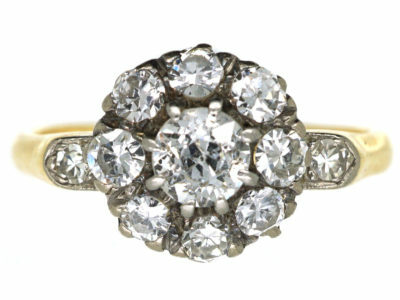 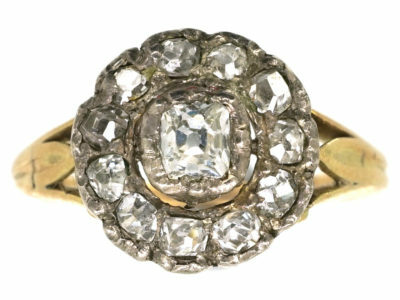 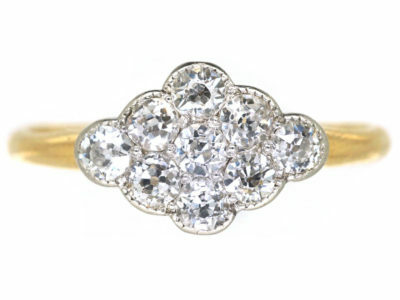 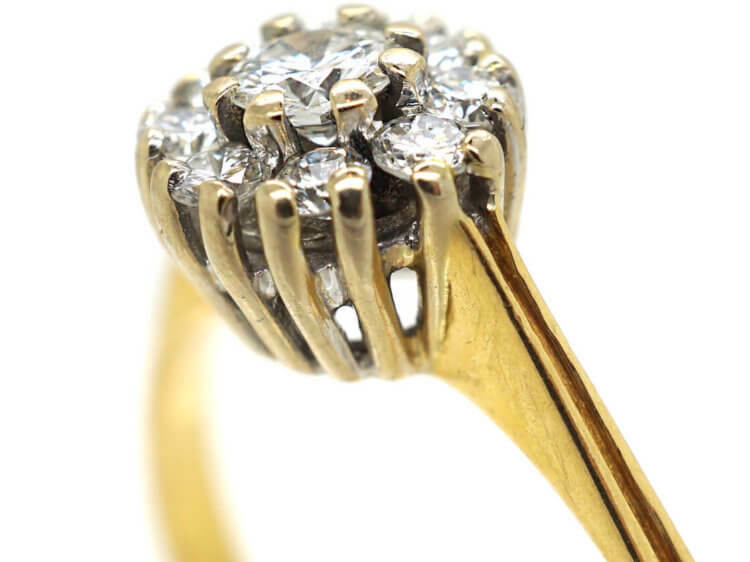 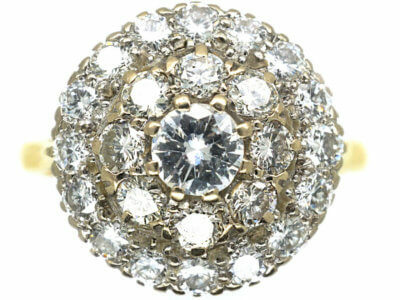 A very bright white diamond cluster ring. 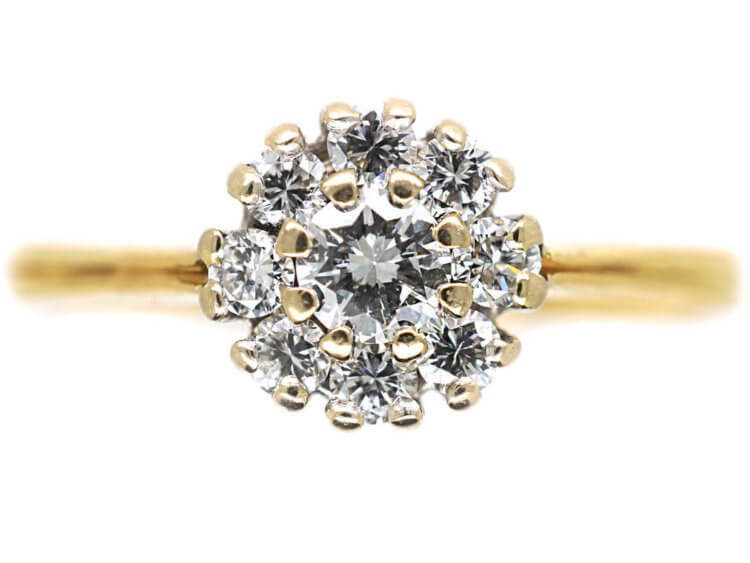 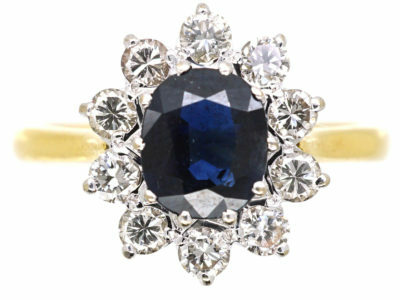 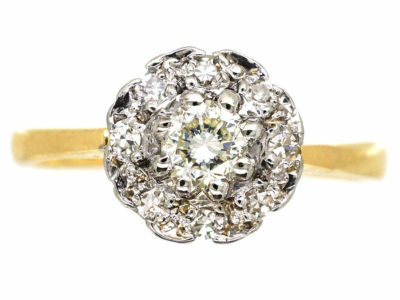 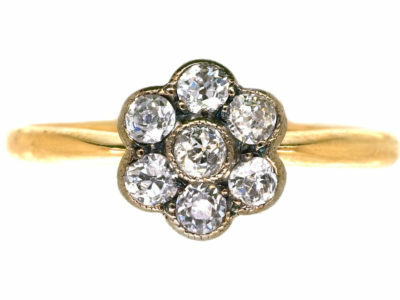 The centre diamond is slightly raised so it looks like a daisy. 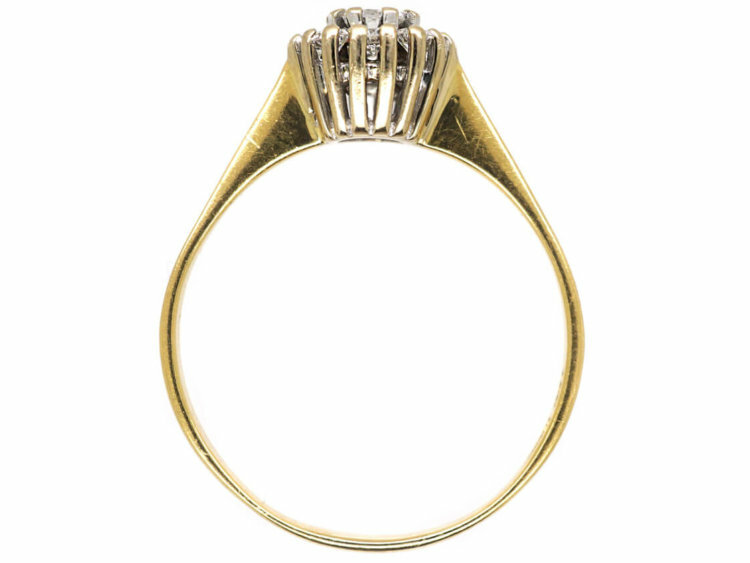 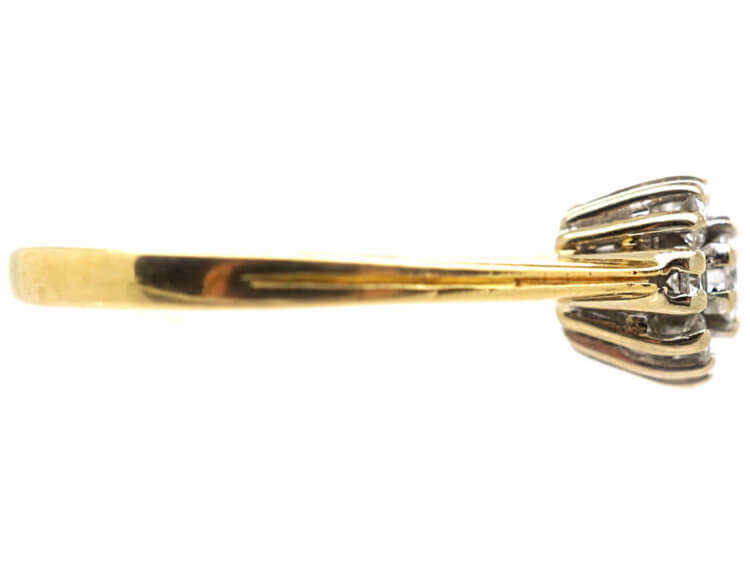 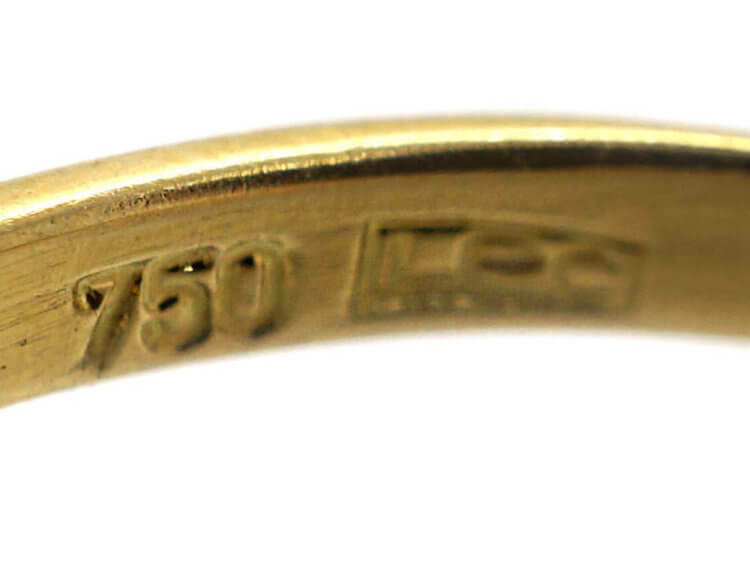 The shank is 18ct yellow gold. 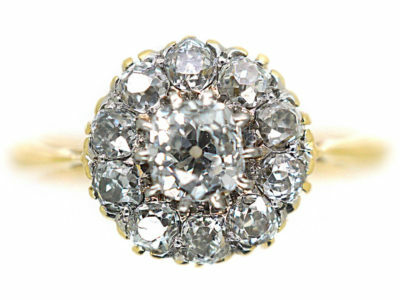 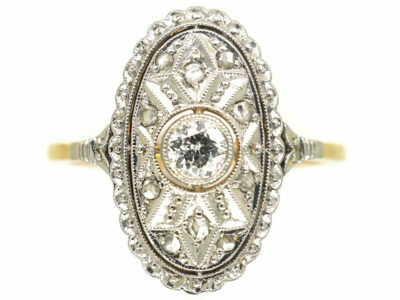 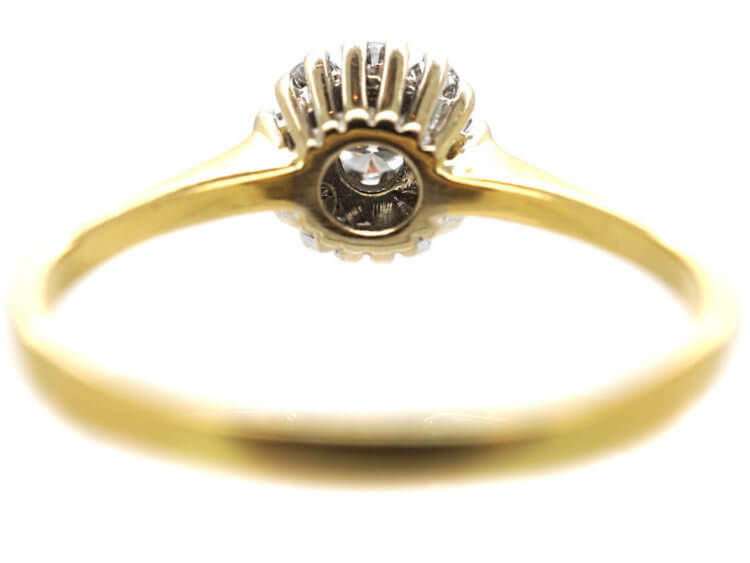 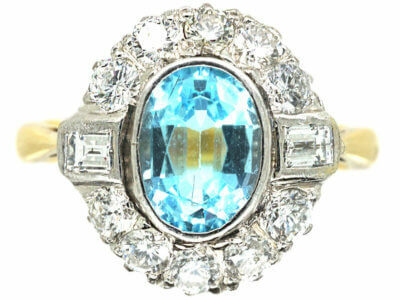 It is not large but would look wonderful on a slim finger and would be ideal as an engagement ring.